This easy 23 mile bike tour is catered for riders who want a good mix of nature, some street riding (only 3.7 miles total), more nature, then a stop for lunch and drinks. 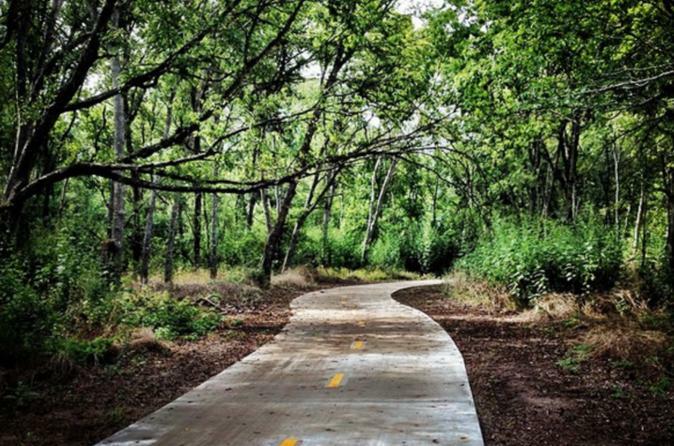 This is a 4-hour tour along Lady Bird Lake hike-n-bike, the Boardwalk, East Austin paved neighborhood streets, and the Walnut Creek Trail, which is paved and traffic free for 7 miles. This is an awesome tour, with a break for snacks and drinks on the way back, and also a quickie in the morning if fuel is needed.